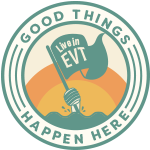 Garret, Tyler and Henry J continue their talk with Tami Farber from Leadership Snohomish County, share some events happening this week on the Weekly Goodness and play some EvCC Trivia. If you really want to go the extra mile and help us continue waving the Everett flag, consider supporting us with a couple bucks each month on Patreon (make sure you check out the cool rewards! ).